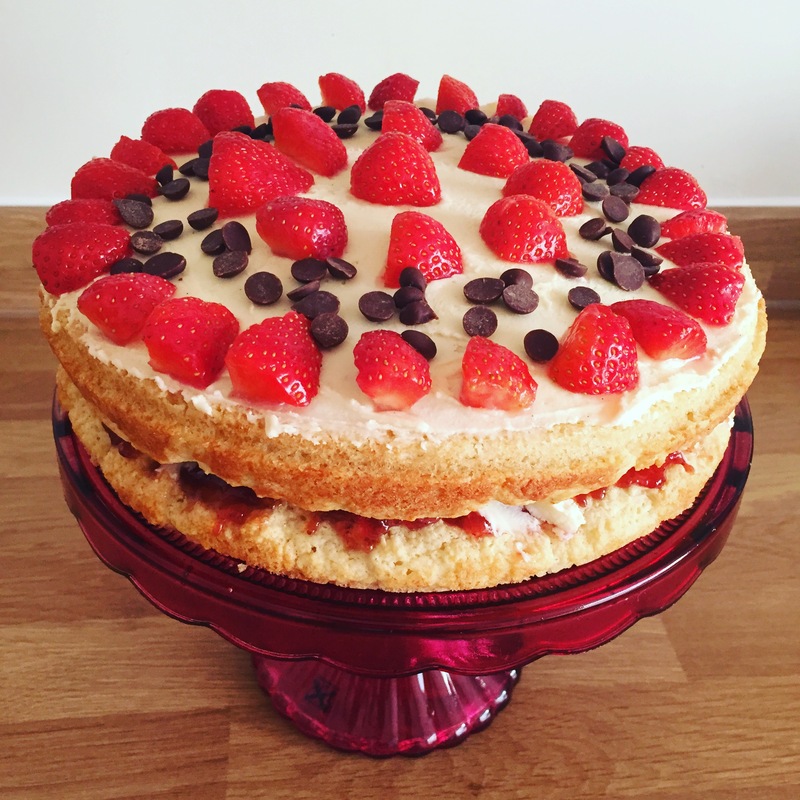 So I used the recipe for a Victoria Sponge from Ms Cupcake’s recipe book – ‘The Naughtiest Vegan Cakes in Town’. I’m pretty obsessed with Ms Cupcake, you can read about my visit to her shop in ‘Vegan is the New Black in Brixton‘. If you love cake (who doesn’t?!) you need to check out Ms Cupcake! See her website here. Love this cake and even made it at the weekend. Though like yourself I don’t use all the buttercream and cover all of it. Awesome! Yea I think that may have been too much of a sugar rush for me, delicious cake though!